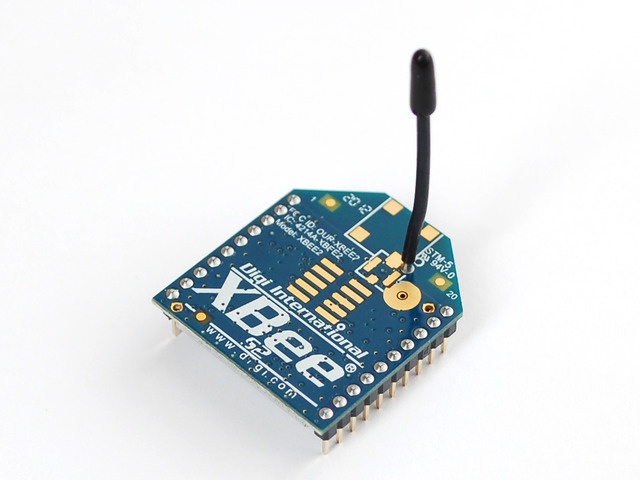 We now carry the Series 2 XBee "ZigBee" modules. This is the series 2 ZigBee protocol 1mW with wire antenna. Its good for point-to-point, multipoint and mesh networks. This module is a little more difficult to get going than the Series 1 - you must set up a "coordinator" module so they are not as plug-and-play. We suggest this module for those who are following the Building Wireless Sensor Network book as it focuses on Series 2.